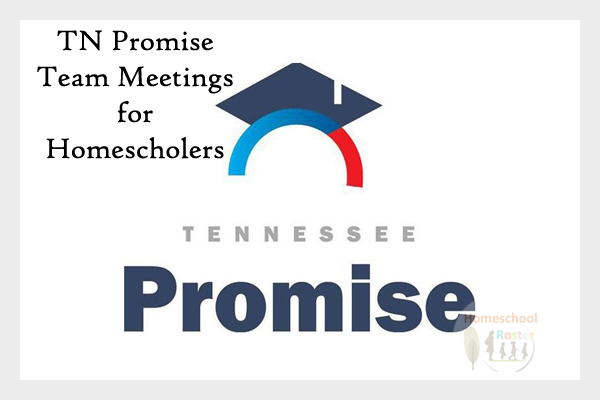 If your high school, graduating senior applied for the TN Promise scholarship, it is time for them to attend the required spring team meeting. Hopefully, they already attended the fall meeting that was held in their county in 2018. All applicants are required to attend both team meetings (fall and spring) to remain eligible for the scholarship. You must attend the team meeting that is held in the county where you live and homeschool. You do not need to register to attend the team meeting, but must attend. If not you are unable to attend the meeting, read here to learn what excuses will be accepted for missing a team meeting. 1) Sign your name on the sign in sheet when you arrive and confirm your name is on the correct sheet before you leave. If your name is not on the roster, you will not receive credit for attending the meeting. 2) Bring a pen/pencil and notepad for taking notes. 3) Come with any questions you have regarding the TN Promise scholarship, community service hours, etc. 4) Parents should attend the team meeting with their student, so they can ask questions and know what is going on. 5) If your child has already started earning community service hours (eight required), you may start logging those hours. Service hours must be completed and submitted for the fall 2019 school year by Monday, July 1. All meetings occur during Central Standard Time unless otherwise noted. Thursday, March 28, 2019 at 5:30 p.m.
Wednesday, March 13, 2019 at 5:30 p.m.
Monday, March 4, 2019 at 3:30 p.m.
Tuesday, April 2, 2019 at 3:30 p.m.
Wednesday, April 3, 2019 at 3 p.m.
Thursday, March 21, 2019 at 5:30 p.m. Send an e-mail to Jenilyn Sipes to schedule a team meeting. Contact Jenilyn Sipes at jsipes@swtdd.org. Thursday, April 11, 2019 at 1 p.m.
Tuesday, March 19, 2019 at 5:30 p.m. Send an e-mail to Frankie McCord to schedule a team meeting. Contact Frankie McCord at fmccord@swtdd.org. 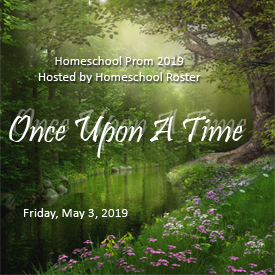 Tuesday, April 2, 2019 at 5:30 p.m.
Wednesday, April 3, 2019 at 5:30 p.m.
Tuesday, March 12, 2019 at 5:30 p.m. Send an e-mail to e-mail to Dixie Spencer to schedule a team meeting. Contact Dixie Spencer at dspencer@swtdd.org. Send an e-mail to e-mail to Frankie McCord to schedule a team meeting. Monday, March 25, 2019 at 5:30 p.m.
Wednesday, April 3, 2019 at 2 p.m.
Monday, March 11, 2019 at 5:30 p.m. 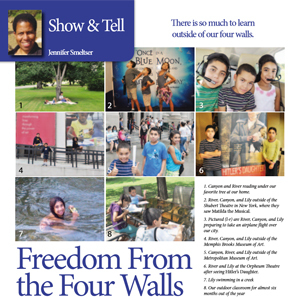 Contact Johnna Burton at jburton@swtdd.org. Wednesday, March 20, 2019 at 5:30 p.m.
Monday, March 18, 2019 at 5:30 p.m.
Tuesday, March 19, 2019 at 3 p.m.
Thursday, March 14, 2019 at 5:30 p.m.
Wednesday, March 20, 2019 at 3 p.m.
Tuesday, March 12, 2019 at 2 p.m.
Wednesday, March 13, 2019 at 3:30 p.m.
Thursday, April 4, 2019 at 5:30 p.m.
Monday, March 18, 2019 at 3 p.m.
Thursday, April 11, 2019 at 3:30 p.m.
Monday, April 8, 2019 at 1 p.m.
Tuesday, April 2, 2019 at 1 p.m.
Monday, April 8, 2019 and Tuesday, April 9, 2019 at 5:30 p.m.
Wednesday, March 20, 2019 at 1:30 p.m.
Monday, March 11, 2019 at 3 p.m.
Tuesday, March 12, 2019 at 1:45 p.m.
Tuesday, April 2, 2019 at 2:30 p.m. I had never heard of Union University (UU) until I moved to West Tennessee. Once here, it still just remained, to me, one of the many schools in Tennessee for higher education. As we became more involved in the homeschool community, Union University often came up as the college where many of those students pursued their education after high school. 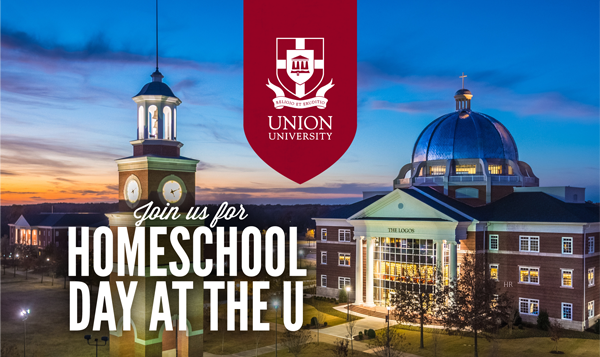 On Friday, September 14, Union University is holding Homeschool Day at the U to share why it is one of the top choices of universities by homeschool students. “We really wanted to do this because we felt like homeschoolers don’t really understand the huge opportunity Union provides students who want a top-ranked education in a safe, Christian environment,” said Greg Shawgo, who is a Union University Undergraduate Admissions Enrollment Counselor. The Student body is less than 3,500 students. There are more than 100 programs of study. The ratio of student to faculty is 10:1. One hundred percent of the incoming freshman are financial aid recipients. Another fact to consider is more than 80 percent of the faculty has earned the highest degree that is possible in their field. Homeschool Day at the U is a full campus, all-day experience for high school, homeschooled students and their families. Everything will be provided and is free including the meals (ex: breakfast, lunch, etc.) 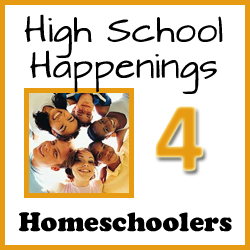 for all families attending with their high school aged student. Students and their parents will also learn about the honors program, resident life and attend a chapel service, which is required by all enrolled UU students. Enrollment counselors will also be available to answer questions about the various academic programs, admissions process and financial aid opportunities. 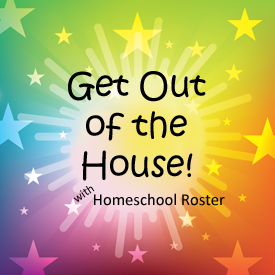 Register for Homeschool Day at the U. If you are not able to attend the event, there are other opportunities for you to visit the UU campus. “We are excited to welcome the homeschool community to the Union campus, as they continue to be an integral part of campus life at Union University,” said Shawgo. If you have any questions, call (800) 33 UNION (86766) for more information.